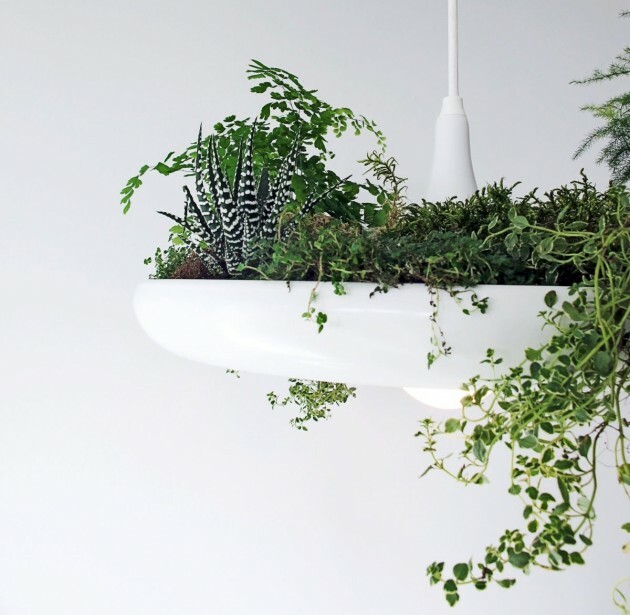 Toronto-based designer Ryan Taylor has created Babylon, a light made from powder-coated aluminum that also features a small garden. 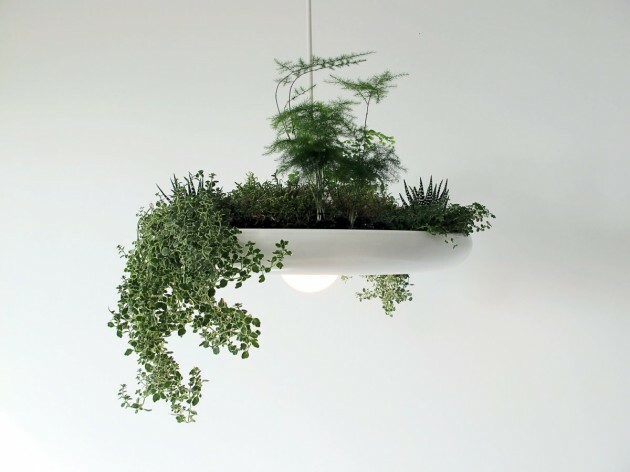 The Babylon Light is a plantable light fixture. Made of aluminum with a powder coated finish, it can be used as an organic centre piece or a working herb garden over the kitchen counter. 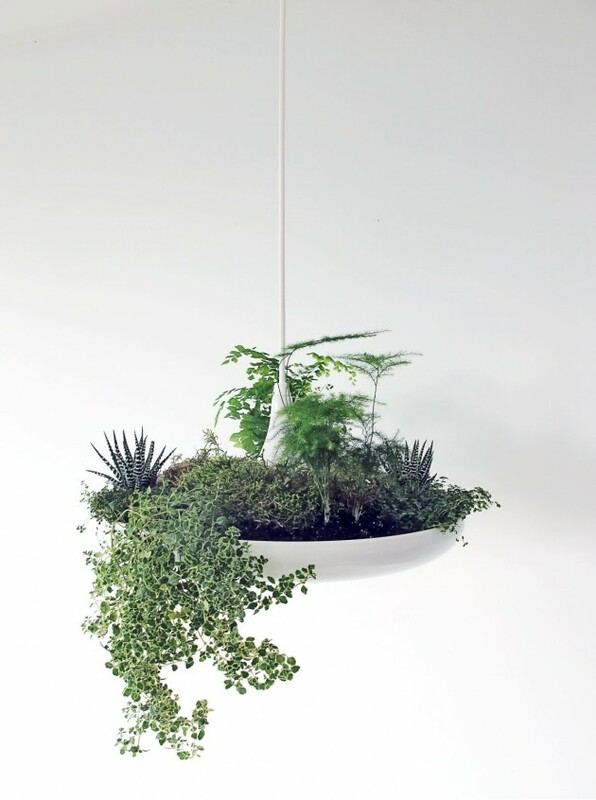 No matter where it’s situated – Babylon will become your very own hanging garden. 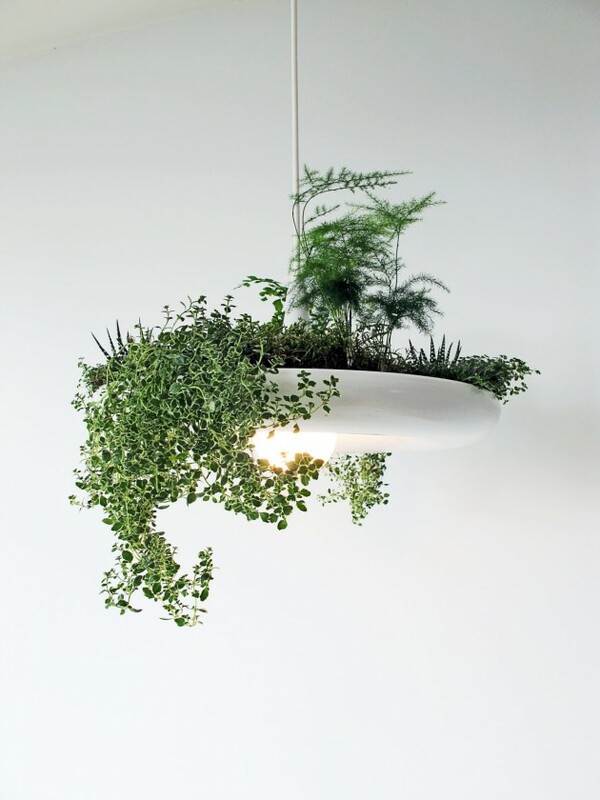 Credit: Victoria Taylor, Landscape Architect OALA, advised on planting design.